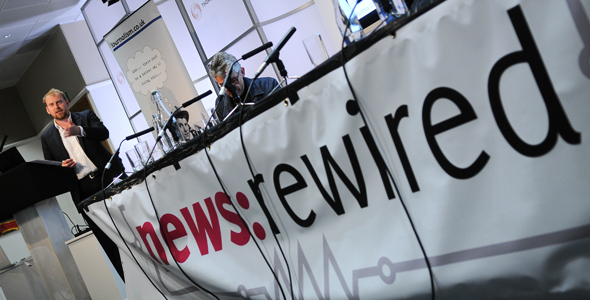 With news:rewired – connected journalism just round the corner, we are looking forward to a great day of debate and plenty of new ideas for collaboration both in and outside of the newsroom when the conference kicks off tomorrow (6 October). Hopefully you will be there to take it all in first-hand, but if not there will be live coverage of the day available from the news:rewired site. We’ve teamed up with the Wannabe Hacks who will be providing a live-blog of each session, while Journalism.co.uk’s technology correspondent Sarah Marshall will also be bringing you updates via Twitter (@journalism_live and @newsrewired) and via blog posts on a number of the sessions. Follow on Twitter using the hashtag #newsrw. The BBC College of Journalism will also be there on the day to film the panels, so look out for video coverage of the sessions posted on the news:rewired site.